Details: Beautiful off the shoulder taffeta evening dress with organza train and beaded bust line and waist finished to a high quality with full lining and additional bust support for your comfort. 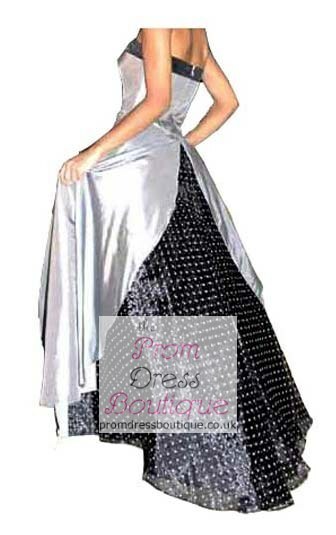 Colours: Available in 53 different colours based on taffeta colour chart, with black organza. Colour in the picture is platinum.